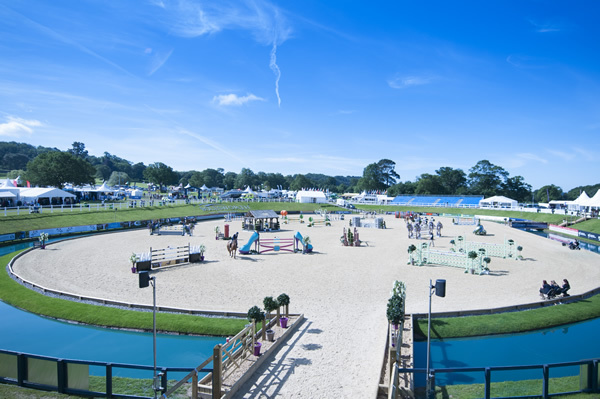 If there's only one event you attend next summer make sure it's Bolesworth International. Following on from the huge success of last year's event, this year's promises even more. With top class competition, a host of leading international riders, a fantastic atmosphere, breath taking setting and shopping galore. If you are looking for a great day out, head to Cheshire. 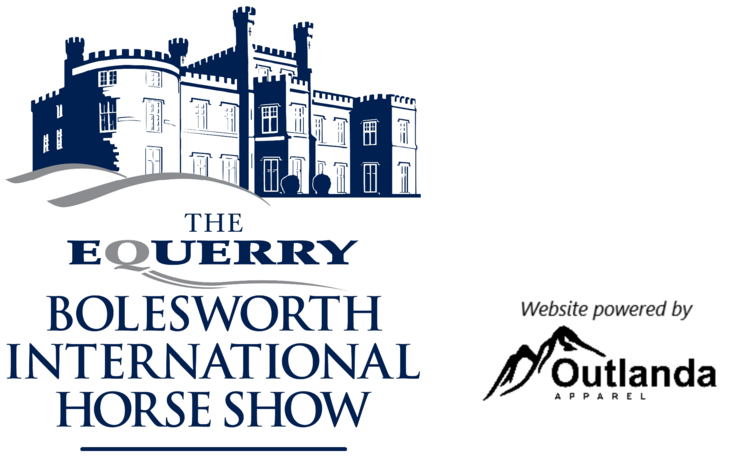 The countdown is well and truly on to this year's Equerry Bolesworth International Horse Show. With the warmer weather on its way, summer is just around the corner as Cheshire's must visit event takes place June 13 to 17 in the stunning grounds of Bolesworth Castle, near Tattenhall. Cheshire's premier sporting and social occasion offers a unique and thrilling experience not to be missed! The five days combine top-level dressage and world-class show jumping with high-end shopping, champagne, cocktails, fun family entertainment and great music at the new Club Boles. On Wednesday, June 13 the event includes a Masterclass with showjumping and eventing stars William and Pippa Funnell. Dressage is the main focus of Wednesday with the show set to host a number of prestigious Dressage Viewing Trials for the World Equestrian Games, Young Dressage Horse World Championships and the European Pony Championships. Carl Hester teams up with Van Holst Horses, breeders and trainers of some of the leading stars in the world of dressage to wow the crowds with a masterclass on Thursday afternoon, June 14 providing spectators with a host of tips and advice for riding and producing dressage stars of the future. Also on Thursday will be the highly anticipated Bolesworth Elite Auction with the major question on everyone's mind - can the 2017 record of £92,000 paid for the foal Tinka's Star, be broken? New for 2018 is the exciting Casenove Capital Eventing Grand Prix, this fast and furious competition takes place on Thursday, June 14 providing a high calibre invitational spectacle as both elite show jumpers and event riders tackle a course of show jumps and feature cross-country fences in a relay format. Inspirational business woman, Rachel Clacher is the guest speaker at this year's Bolesworth Business Lunch on Friday, June 15 before the edge of the seat Equitop Myoplast Pussiance gets underway as part of the adrenaline fuelled evening entertainment. If you are one for a party Friday is Classic Ibiza Party Night at Club Boles, whilst Saturday evening will see everyone rocking with Rick Parfitt Jnr and the RPJ Band. Don't miss out on the chance to dress to the nines on Saturday, June 16 for Ladies Day. Prizes for the best dressed include a fantastic outfit from the award winning Ian Stuart collection worth over £1,000. Saturday evening will see the brand new event, The Bentley Ride & Drive. Riders will tackle a course of jumps against the clock then jump into a Bentley Bentayga V8 worth more than £150,000 to drive under the guidance of a qualified instructor through the cones to try and take the winning podium position. Sunday will bring the show to a close with the 138cm Grand Prix, Fun Mini Major Relay and prestigious Equerry Grand Prix. Bolesworth International will host an impressive range of food and drink options on offer to suit all budgets and tastes, including the new high end bar facility Club Boles located next to the Main Arena offering Live Music, fully licensed premium bar, food and entertainment till late every evening, together with a new artisan food court next to the Castle Arena. As well as all the equestrian actions there is a huge range of other activities and entertainment across the showground, so there truly is something for everyone, promising to deliver in so many ways. Children will be spoilt for choice with the vintage fairground, and a full range of attractions including pony rides, crazy golf, inflatables and much more. With so much available to do and see you won't want to miss out on anything, so why not consider the brilliant on-site camping and take a break at Bolesworth? The beautiful camping and caravan site is situated on the Bolesworth Castle Estate and also includes the glamping Festihut village. VIP Hospitality experiences are available for all sessions throughout the show, and include access to our luxury ringside marquee, with high end dining included from renowned London caterers Absolute Taste. For more information and to book Hospitality packages, contact melanie@bolesworth.com. Inspirational business woman, Rachel Clacher is the guest speaker at this year's Bolesworth International Business Lunch. Rachel heads up Moneypenny, an innovative and internationally renowned telephone answering and outsourced communications company launched some 18 years ago. At the lunch, sponsored by The Bolesworth Estate, Rachel will not only talk about the development and growth of the business but will also highlight the creation of her new charity WeMindTheGap, giving opportunities in life and work to underserved young women in local communities. The Business Lunch takes place in the hospitality marquee at The Equerry Bolesworth International Horse Show on Friday, June 15 and this popular event always proves a sell-out. Set in the beautiful Cheshire landscape on the stunning Bolesworth Estate the Business Lunch will see a productive yet relaxing day for likeminded business enthusiasts. 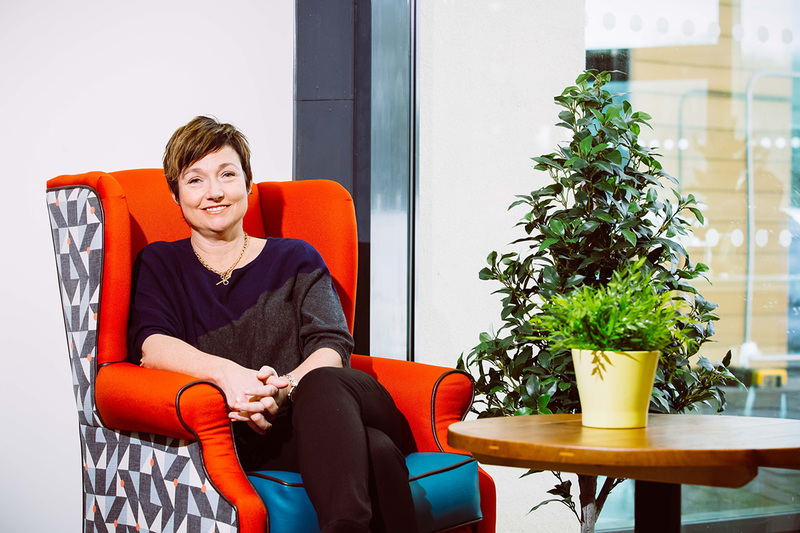 Established in the year 2000 by Rachel and her brother Ed Reeves, Moneypenny is now the world's leading outsourced communications provider, delivering telephone answering, live chat, switchboard and multichannel customer services. In the UK Moneypenny has over 600 staff, a figure that is growing at a rapid rate and has offices in Charleston, USA. Since its launch the business has consistently being voted one of the best employers in the UK and the companyhandles over 13 million customer communications a year for 13,000 businesses. Rachel will be sharing her depth of knowledge and experience within the business world with everyone who attends this year's networking lunch. Bolesworth & The Barbours 'A History of Bolesworth Estate and the Barbour Family' is now available to buy. The book not only records the nuances of household and estate management, but is filled with fascinating information from the Bolesworth Castle archives including personal letters, scrapbook entries, newspaper cuttings, reports and a myriad of photographs. Importantly too, as with any family, it shares moments of intimacy and of acute difficulty throughout the political, social and economic upheavals of several generations. Copies of the book may be purchased from The Bolesworth Estate - please contact info@bolesworth.com or telephone 01829 782210 to get your copy. Please get in touch with Bolesworth Events using the contact details below.